Here are tips to help you avoid learning the hard way what doesn't work when planning your next event. No matter what type of event you're planning, it's your promotional copy (such as your press releases and posters) — and how it's written — that is going to get people to sign up or attend. Assuming your audience knows why they should participate. When copy is short on details, it doesn't give people enough reasons to attend. Not understanding your audience and their problems or pains. People will not respond to a thinly disguised commercial for your oranization. Grammatical errors, and incomplete information. No excuses. Ever. Invest in proofreading.
" Six mistakes that can cost you big bucks… and how to avoid them - tonite at _______ Grange"
" Evaluating new volunteers: how _________ Grange did it right"
" Avoiding membership nightmares — or 10 tips for Grange membership growth"
Write long copy that can be shortened. It's always better to supply too much information. Make sure your promotional copy is long enough to spell out all the details and benefits of attending your event. However, long copy needs to be easy to skim for those who want to get right to the bottom line: use subheads, bold fonts, bullets and call-outs. Sell the event first, then the organization. You need to focus on selling the benefits of attending your event, not on selling your Grange and its services. Be sure to include information about what they'll "take home" in terms of new knowledge or something tangible, such as workbooks, white papers or checklists. Provide give-aways and freebies. Something tangible for the person to take home - hand-outs, certificates, even goodie-bags and refreshments. It gives them another reason to attend. Ensure that your promotional copy includes all the following information: location, date, time, cost, how to register if applicable and how to get additional information. Get your information out early if you want to get into the calendar sections of the newspaper, and further, on the personal schedules of your target audience before they are booked up with other obligations. Relying on one method of communicating — i.e., press releases via direct mail or only via e-mail. Sometimes direct mail won't get the message through, or e-mails will get filtered out before being read. Always follow-up your press releases either with an e-mail or phone call, or follow-up your e-mails with a press release. Poor timing: Promoting your event too far in advance, or waiting until the last minute to promote your event. You need both to promote well in advance and to remind prospective attendees again shortly before the event. Using "wedding-type" or formal invitations and postcards. Generally, response plummets when these types of communication pieces are used, because you don't have room to list all the details and benefits of attending. These should only be used in addition to other marketing for your event. 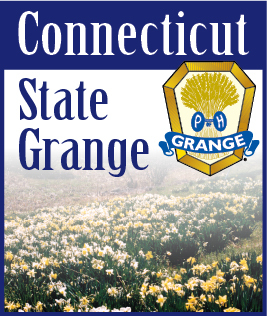 Using an integrated marketing communications approach that includes postal mail, e-mail, telemarketing, posters, and utilizing the internet, including the Grange Web site. Persistence: Hitting your audience more than once with promotional messages. Test for yourself, but three times seems to be the magic number. First, well in advance. Second, two or three weeks in advance. Third, as a last-minute "last chance" reminder. Buying ads in the newspapers your audience reads, and posting event information to online event calendars and other relevant publications. Following up with key prospects via telephone. Sending last minute "See you there!" reminders. Consider your audience, their jobs and their schedules. Plan your event format around your audience type. Your typical audience member has limited time and generally won't attend an all-day event, while individuals who have a distinct interest in the topic will. Holding events on Monday mornings or Friday afternoons. Doing so will usually cut your attendance dramatically. Short performances or lectures, and creative events considered out of the ordinary - often accompanied by food. "Lunch and Learn" lectures or meetings on specific topics. Holding your events at new or "in" restaurants or hotels, or at an interesting location such as a park, factory or party boat for a"Harbor Cruise." Mixing happy "guaranteed" attendees with prospective attendees. Happy attendees will often sell your prospective attendees on why they should belong to your Grange. Timing your event for Tuesday, Wednesday or Thursday—days people are more likely to attend, and days that give you time to deliver last-minute reminders to attendees. Attendees often have other commitments on the weekends, which may conflict with your event. Like a retail business, the location of your performance, presentation, workshop or other event is important. Venues that are difficult to find or get to (e.g., a busy downtown location on a one-way street). Not supplying easy-to-follow or complete directions. Venues that don't include accessible parking close to your event. Using your own Grange facilities. If these aren't available or feasible, book a room at a hotel, restaurant, or meeting center easily accessible to your attendees. Ensuring that the venue is accessible and the directions are correct by driving to it yourself, parking and then walking to the building. Supply maps and directions with the best routes to take. Paying attention to the location of parking lots and garages: women attendees, in particular, likely won't want to walk by themselves to an out-of-the-way lot or garage, especially after dark. Events are a great way to increase awareness of your Grange, and ultimately gain new and perspective members along the way. Ensure your events' success by planning and promoting them well, keeping your target audience in mind when determining the type of event, finding a good location and understanding the differences of your community.